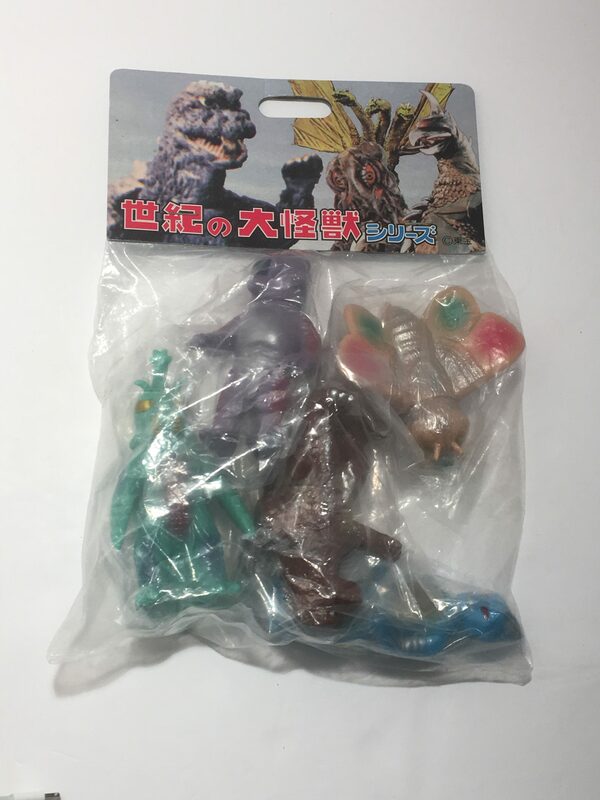 Marmit Parababy Mail Away Set from 2003 comes with 5 iconic figures from the 1970’s Godzilla movie. 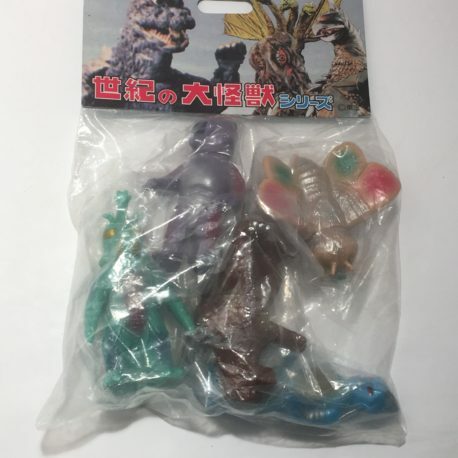 The figures are Godzilla, Megalon, Mothra, Jet Jaguar and the alien sea man. The set comes in its original bag with header however the marmit premium has been cut out. Each figure stands approximately 4 inches. 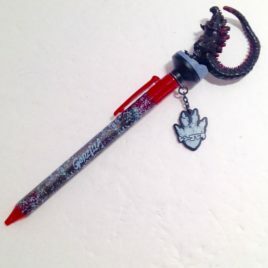 This Shin Godzilla writing pen was available in limited quantities at some of the Toho Cinemas showing Shin Godzilla. Due to the popularity of the movie most of the theater exclusive items were sold out within days of the opening of the movie in Japan on July 29, 2016. 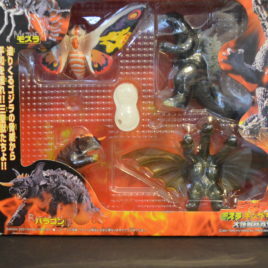 The Shin Godzilla figure on top of the pen is soft vinyl and is a nicely detailed figure considering it is about 1 3/4 inches high I especially love the long tail. It includes a foot print replica which says Shin Godzilla in Japanese on a chain. It is black ink and the length of the pen from the head of the figure is about 8 inches. It comes in its original packaging.